Crime scene tape surrounds the home at 1997 West Point Drive in Lower Saucon Township where police say Mary Anne Looby, 70, was killed by her son, Philip Patrick Looby, who has been charged with criminal homicide. 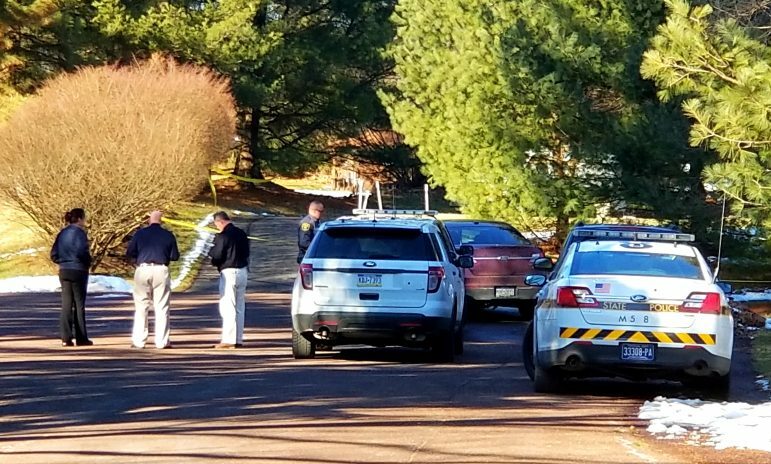 A 49-year-old Bethlehem man is charged with one count of criminal homicide after police and prosecutors say they literally found him with blood on his hands at his mother’s home in Lower Saucon Township, Northampton County, Monday. At a press conference at the township building Monday afternoon, Northampton County Coroner Zachary Lysek identified the victim as 70-year-old Mary Anne E. Looby, of 1997 West Point Drive, which is a small cul-de-sac near the intersection of Bingen and Hickory Hill roads, not far from Lehigh University’s Goodman Campus. 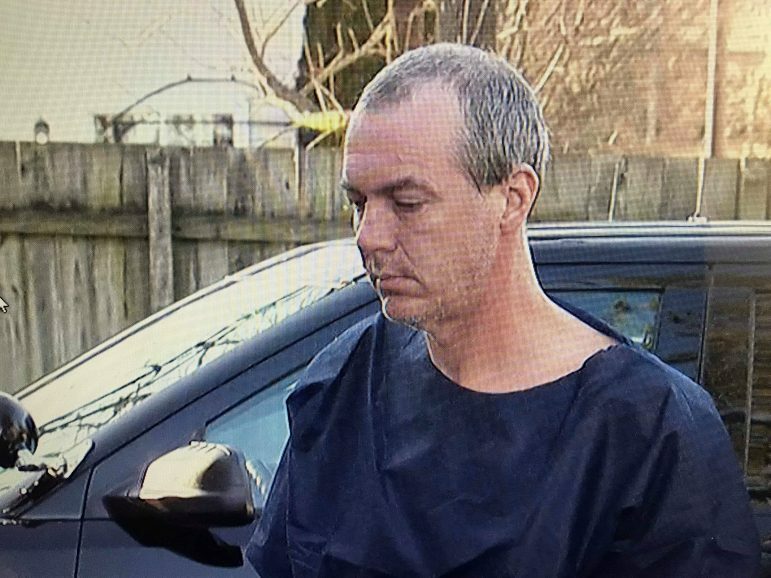 Township Police Chief Tom Barndt and Northampton County District Attorney John Morganelli said Mary Anne Looby’s son, Philip Patrick Looby, 49, of East Fourth Street, has been charged in her killing and was taken into custody at the home without incident. Philip Looby is led into district court in Lower Saucon Township for a preliminary arraignment on a charge of criminal homicide Monday afternoon. “Mr. Looby was subsequently taken into custody at the scene and transported back to headquarters,” Barndt said, adding that his department was assisted at the scene by the DA’s office, the Pennsylvania State Police criminal and SVU units and the coroner’s office. Barndt said he was unsure whose call to the Bethlehem Police Department prompted the welfare check that led to the discovery of a homicide scene at the Looby residence, although it was revealed at the news conference that Philip Looby may have earlier phoned a friend. From left, Lower Saucon Township Police Det. 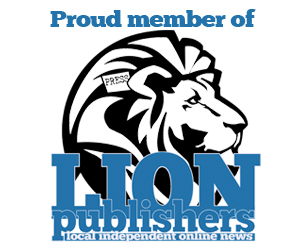 Christopher Leidy, Northampton County First Asst. 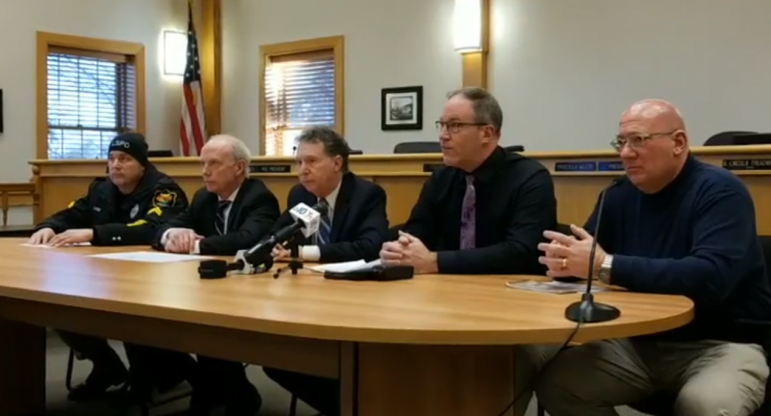 District Attorney Terry Houck, Northampton County District Attorney John Morganelli, Lower Saucon Township Chief of Police Tom Barndt and Northampton County Coroner Zachary Lysek at a press conference about the homicide Monday afternoon. Lysek said he determined that Mary Anne Looby’s death was “caused by homicidal violence” and her manner of death is classified a homicide. Additional information about the cause of her death will be released following a forensic autopsy, which Northampton County First Assistant District Attorney Terry Houck said is scheduled for Tuesday. Houck said Looby’s death hadn’t occurred immediately prior to the police’s arrival at the scene, which was when Philip Looby was allegedly found with blood on his hands and his person. Houck said whatever type of weapon was used in the killing will also be made more clear following the autopsy. 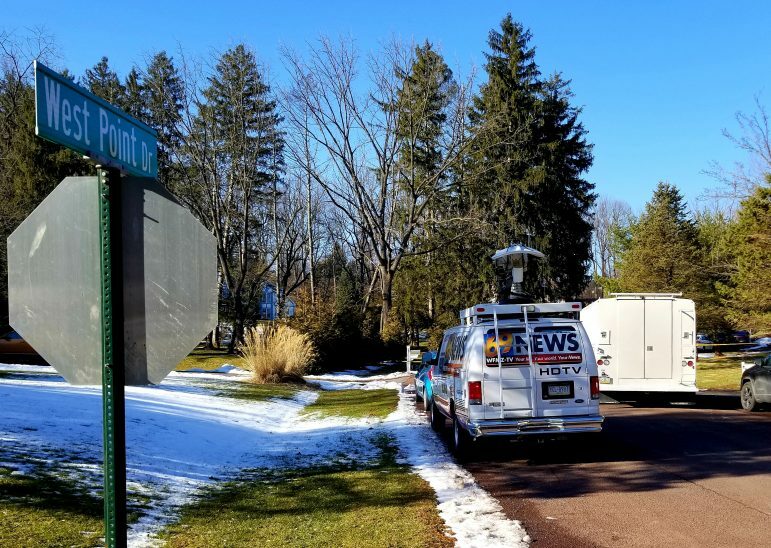 News media were lined up outside the area cordoned off by police crime scene tape on West Point Drive in Lower Saucon Township Monday, after news broke that a criminal homicide investigation was under way there. Lower Saucon Township Police Det. Christopher Leidy also declined to say how Mary Anne Looby may have been killed, but said evidence collected at the scene will hopefully help to determine that. Philip Looby was committed to Northampton County Prison without bail following a preliminary arraignment before District Judge Alan Mege at Northampton County District Court 03-2-04 in Lower Saucon Township Monday afternoon. His preliminary hearing is scheduled for Feb. 15 at 9 a.m. before Judge Mege. 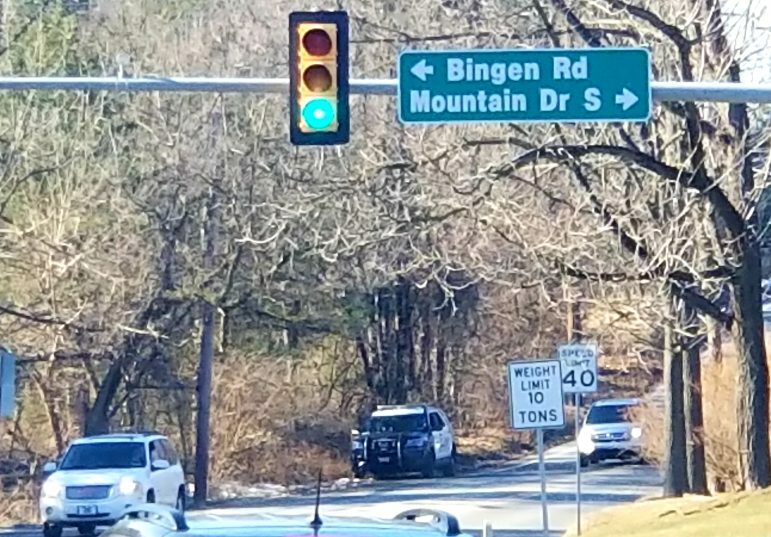 The crime rattled area residents, who live in an idyllic suburban neighborhood where violent crime is rare and homicide is practically unheard of. 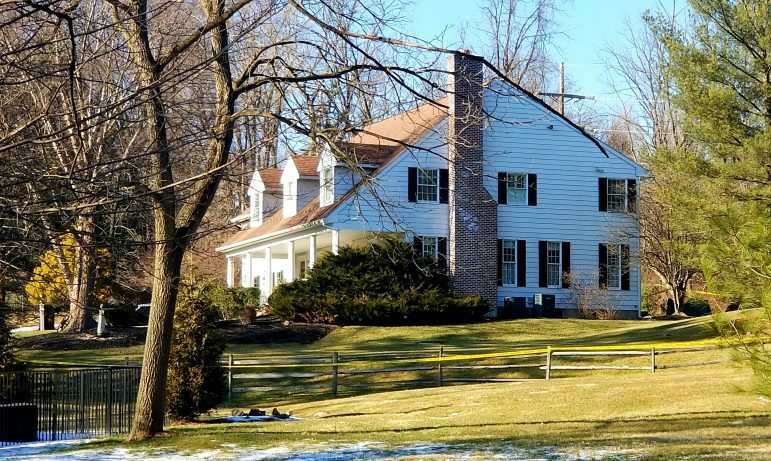 For some the case brought back memories of the 1997 murder of realtor Charlotte Fimiano in a vacant home she was showing on Chelsea Lane in Lower Saucon Township, although that case remains unsolved to this day and is considered a cold case by Pennsylvania State Police. Please note that this is a developing story. Additional information will be reported as it becomes available. 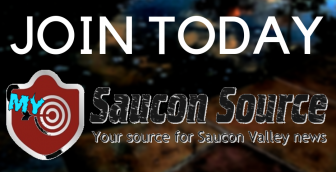 Follow Saucon Source on Facebook and subscribe to our free e-newsletter for updates. Police investigators and other officials stand outside 1997 West Point Drive, Lower Saucon Township, which became a crime scene Monday upon the discovery of a woman’s body there. Police identified the woman as Mary Anne E. Looby, 70, and said she was allegedly killed in the home by her son, Philip Looby. A Lower Saucon Township Police SUV is parked along Hickory Hill Road at the back edge of the West Point Drive property where a homicide was under investigation Monday. 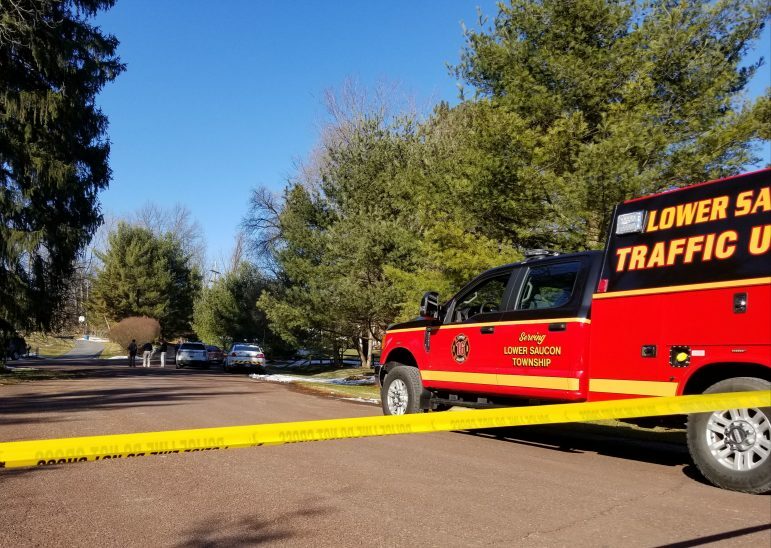 Police crime scene tape is an unusual sight in Lower Saucon Township, and stood in stark contrast to the blue sky and warm sunshine that brought many local residents out of hibernation Monday.